Without a doubt, polo is an addictive sport. And it’s been said that “once you’re in polo, it’s impossible to be out of polo…there are only two chances, either you die or you go bankrupt, but there’s no way you can be out of polo once you are inside, it’s like a virus.” It’s a bit of a dark statement but it’s not far from the truth. 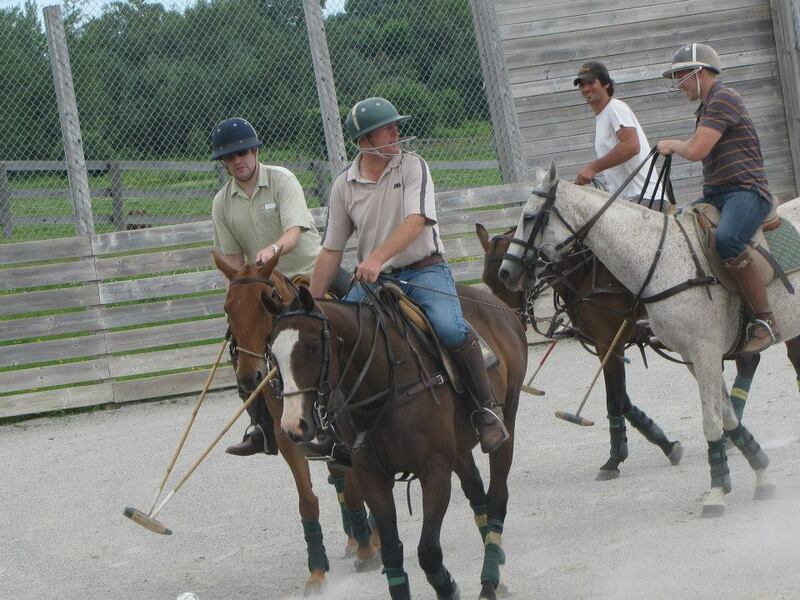 Polo is a lot more than a game…and for the right person it can become an addiction in the best sense of the word. After all, you could be involved in a lot worse things. Polo has a way of sneaking up on new players. No one expects it to be quite as easy to learn or something that can be learned in the first place. So people intentionally come into the sport with low expectations. They tell themselves things like ‘I won’t even be able to hit the ball’ to ‘I’m not a Prince so I just won’t fit in with the crowd of players’. But the truth is, polo isn’t really like the stereotypes people make up for it, sure, Princes play the sport but regular people do too. And when people realize just how easy it is to take lessons, and how not impossible it is to hit the ball…well they find themselves sliding down the slippery slope of a polo addiction because the synergistic combination of horses, adrenaline, teamwork, competition and other factors makes it hard to stop once you’ve started. So to all those new players out there, we’ve all been where you are. 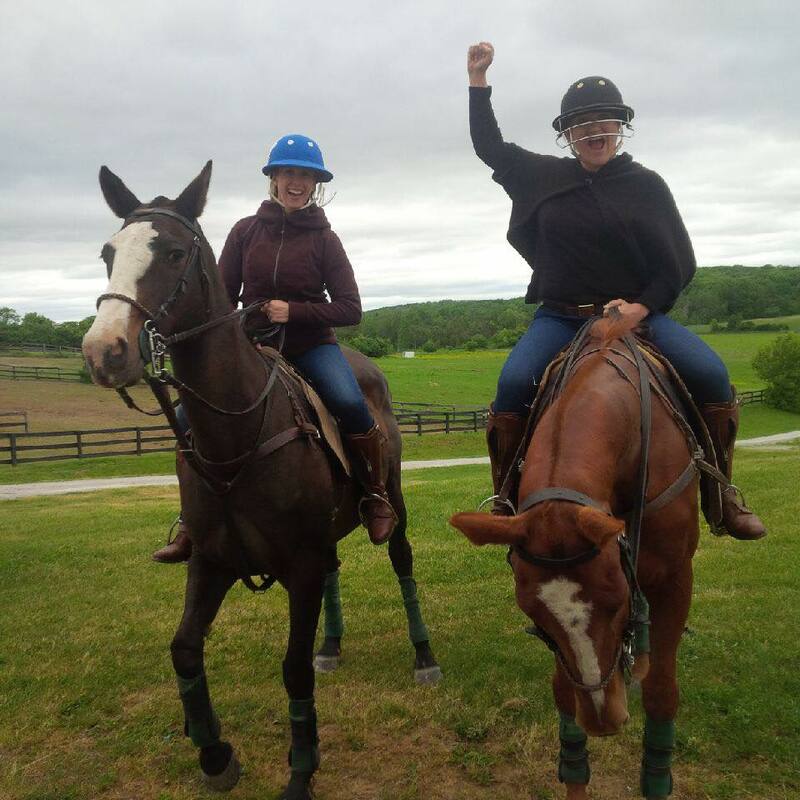 We’ve all rationalized our addiction the same way and to make you feel less alone we at the Toronto Polo School have documented the process so you know what to expect as you slide down that slippery slope of getting hooked on polo. So you’ve seen it played live, or on TV, or maybe you just had an urge to be different, to do something different. Whatever your reasoning you’ve found yourself signed up for a private lesson or one of our one-day learn to play clinics and you’re telling yourself you only want to try it. You don’t anticipate it becoming a big thing in your life but simply a way to pass a Saturday outside in the fresh air with friends. Besides…you probably won’t even be able to hit the ball so no danger of it being a long term thing. So you’ve tried it. 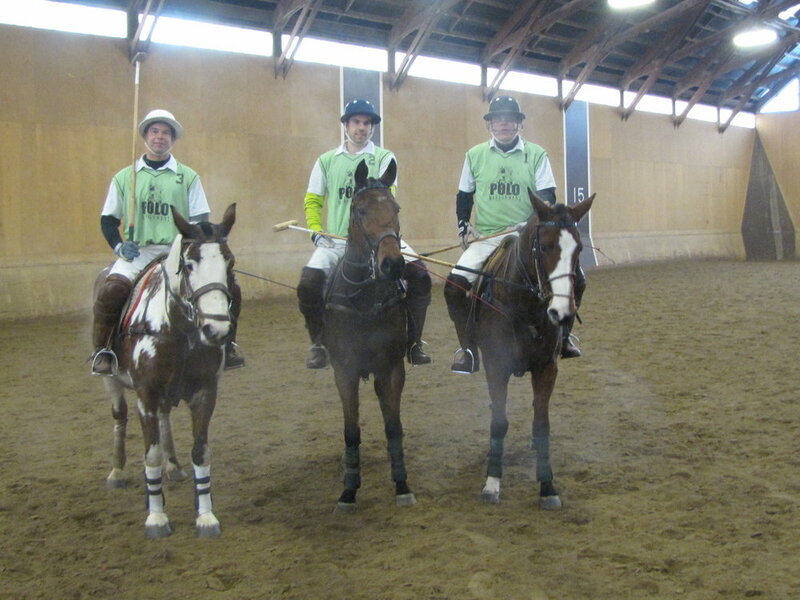 You’ve done the one-day clinic; you cantered a polo pony, you hit the ball, you played a slow scrimmage. You go back to work on Monday and you find yourself thinking about ‘polo, polo, polo’. 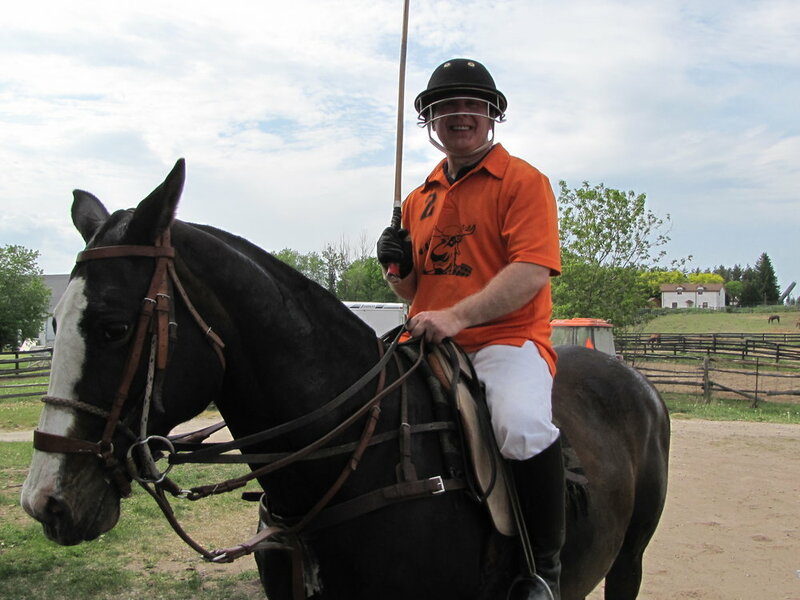 So you give us a call at the Toronto Polo School and you decide to just ask the question; how does one really learn to play polo…hypothetically that is? You just want to know, to have the information…it’s not like you’re really going to learn to play. You couldn’t shake it, time passed and you were still thinking about that first time you hit the ball and swung a mallet. The wall of denial begins to come down, brick by brick, you take us up on our private lessons or eight-week polo school because you could be involved in a lot worse things…and this counts as social time and fitness time…doesn’t it? With the summer season firmly passed and with it your deadline for when you were going to stop playing and the polo addiction showing no sign of slowing down you re-evaluate your plan and tell yourself that you won’t stop playing…you’ll just cut it back to once a week. Just enough to keep your skills sharp but not enough to break the bank or your body. You’ve come to the conclusion that maybe buying a horse might not be the worst idea in the world. You’d be able to play as much as you wanted (within reason) for the same flat fee per month. And you have always wanted to own a horse…it’s just the most economical way to play polo or so they say…all the players are doing it. So you find the perfect first horse and you pat yourself on the back for your good decision making. There you have it. The rationalizing that goes on inside a new polo player’s mind as they fall head over heels for polo. If you’re anything like the rest of us, you’re probably sitting there telling yourself that you’re different. You haven’t felt any of this. You really are just a casual player. And maybe you are, if you managed not to get hooked on polo…well good on you. But the rest of us are sunk and that’s totally okay because we’re sunk together. Want to give it a try yourself? Contact us at info@polomanagement.com for information on 'learn to play' clinics and lessons. Rain means wet fields and wet fields means no polo which for polo players is pretty much a nightmare. And short of taking up water polo, there's nothing that can be done to stop the rain and speed up the drying of the fields. So while you’re stuck inside watching the puddles form we’ve compiled a polo reading list so you can make use of all that time that can’t be spent playing polo. Over the course of polo’s long history as a sport, a number of books have been written about it. And there’s a little something for everyone. From trashy fiction set in the world of high goal polo to historical ‘how to play’ manuals and up to date non-fiction books about how to improve your game and handicap. We’ve compiled a list of our favorites for those rainy days when the weather just won’t cooperate. No list of polo books would be complete without the cult classic Polo by Jilly Cooper. Thoroughly researched and exhaustingly detailed (in a good way), Cooper takes you inside the scandalous world of high-goal polo in the 1980’s. While you may not learn anything about improving your own game, you will get to escape the real world for a couple hundred pages (more like 800 pages) as you delve into the world of Ricky France-Lynch, Perdita MacLeod, Rupert Campbell Black and all the other fascinating characters Cooper has thought up. The story takes you on a whirlwind trip through the polo world from the polo fields in England to Palm Beach, Argentina, California, and France among other destinations. A new release in the genre of polo themed fiction, the Polo Season Series is comprised of three separate books; High Season, Wild One, and Ride Free that all follow the lives of members of the Del Campo family polo dynasty. They’re a light read that still manage to satisfy your polo craving and they’ve got Nacho Figueras’ name on them…so even if the story lines are trashy you know that the polo information is accurate. Polo life veers off the path of trashy polo themed fiction towards something that might actually improve your game or at the very least provide insight into what it takes to survive the world of high goal polo. Written by Adam Snow (former 10-goal player) and his veterinarian and wife Shelley Onderdonk the book covers everything from what it’s like to play as a pro to what it’s like to achieve 10 goals, tips for finding and buying the right horses and how to best care for them among other topics. Interspersed throughout are anecdotes from Onderdonk and Snow’s life in the world of polo which makes all the factual information go down easier. Well worth the read for anyone curious about the world of high goal polo and what it takes to survive in it. Now for a classic, Kipling’s The Maltese Cat takes you inside the mind of a polo pony on the day of a match in colonial India when polo was still a cavalry based sport. Hailed as “the greatest and most enjoyable story ever written about the game of polo and one of the greatest stories ever written from a pony’s point of view” it’s a must read for any polo fanatic. And at only 63 pages long (depending on the edition), it’s one of the shorter books on this list. Sunny Hale was one of the world’s most famous female polo players until she passed away suddenly this past winter. Thankfully, her wisdom and experiences will remain with us as she’s documented them all in her book Let’s Talk Polo. Her book covers everything from Stick and Ball to practice games, the language of polo, tournaments, polo ponies, mallets, and tips. Short and to the point, it’s the ideal guide for the new polo player to get their feet wet. Another addition to the Let’s Talk series by the late Sunny Hale, she goes more into depth on issues surrounding polo handicaps. The book answers all the questions you’ve ever hand about polo handicaps from the basics to how to improve your handicap, she’s covered it all. Written in the late 1800’s, Polo by J. Moray Brown was the how to guide of it’s century. Nowadays some of the tips are a little out of date but it’s nevertheless a cool read for those looking to get a sense for polo’s long history. The name Modern Polo can be a little misleading with this book, it’s also a how to guide from another century but still a cool read for those wanting to understand the polo of the past and see what’s changed in the decades since. Also a good read in the historical category is As to Polo by William Cameron Forbes. Polo is the ultimate coffee table book for anyone who has ever wanted to play or does play polo. Complete with beautiful photos and a foreword by the Prince of Wales it does not disappoint. 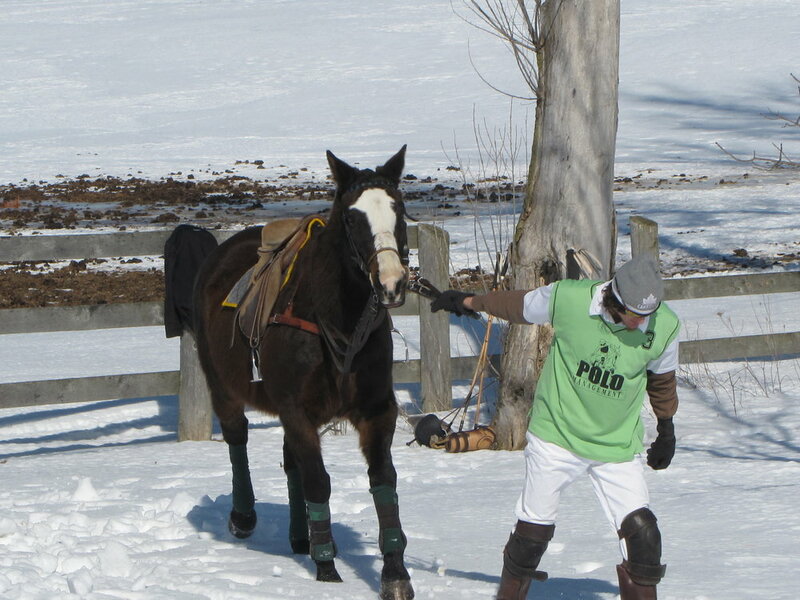 In the past few weeks, we’ve been involved with shipping some polo ponies from Argentina to Canada. No doubt, shipping horses is a fairly regular occurrence, but what makes this particular shipment stand out was the sheer volume of ponies that were shipped to Canada. A grand total of 87 polo ponies made up the shipment that very nearly filled the inside of a Boeing 747 cargo plane. They landed at Hamilton International Airport on May 4th and were greeted with our typical early spring weather of cool, damp rain. Definitely a drastic change from the climate they’d grown used to in Argentina. Nevertheless, they remained patient as they were all unloaded from the plane, and taken over to a warehouse where they were removed from their shipping boxes (after upwards of 10 hours in them). They were then checked over by vets and customs and given food and water. Once each horse was given the ‘all clear’ they were loaded into waiting trailers which took them to the quarantine barn located at Pampa Norte Polo Farm in Alliston, Ontario where they would serve out their quarantine period. The processing of all 87 polo ponies and their subsequent loading into trailers took the better part of the day and they finally made it to Alliston later in the evening. Once they were unloaded and checked once again by customs they settled in to their quarantine stalls where they would remain for approximately the next two weeks. They received constant monitoring and tests throughout their quarantine period and were released at long last on May 23rd at which point they were taken to their new homes all over Ontario and the Northeastern United States. Taking into account the pre-flight quarantine that took place in Argentina, the flight itself and their Canadian quarantine period these horses have been in transit and unable to just be horses since the end of March making their release last night even sweeter. Despite all the stress and confusion these horses were under they all remained patient and calm throughout the entire ordeal. What a bunch of troopers! We can’t wait to see what these ponies can do on the field once they’ve had a chance to settle in and relax. *For those curious about how much an equine plane ticket costs, it is approximately $9000 USD per horse.